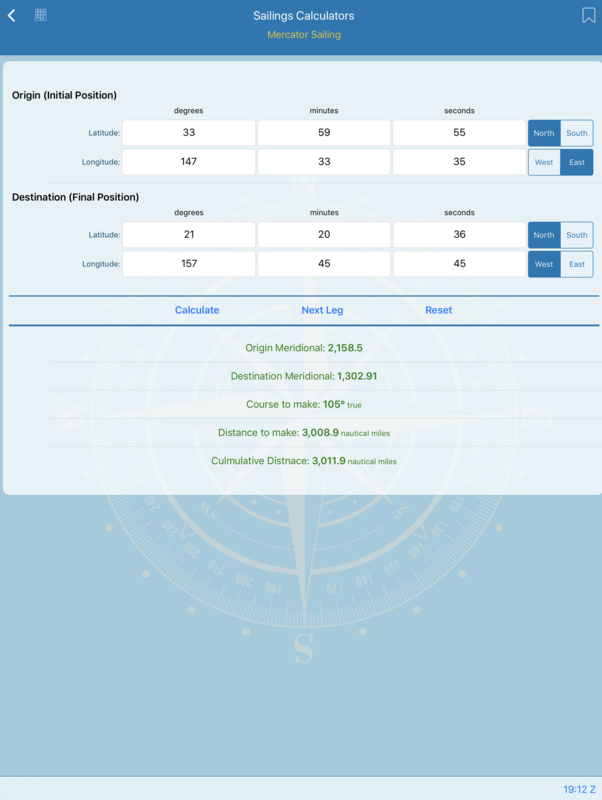 This screen allows for the calculation of Great Circle navigation and waypoints. Without considering factors such as weather, winds, magnetic deviation and currents, the great circle track is the shortest distance between any two places on the surface of the Earth. To sail a great circle track adjustment of the ship's course is continuous because the great circle track is a curve when plotted on a Mercator Chart. Once you enter the latitude and longitude for origin and destination, tap 'Calculate' to display the 'true' course and distance. 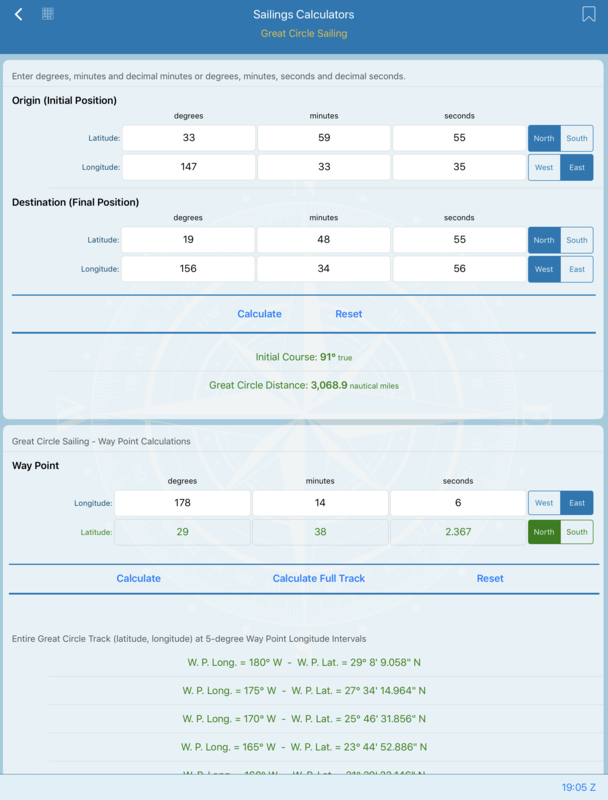 To display waypoint calculations for the entire track in 5-degree intervals, tap the 'Calculate Full Track' button. This screen calculates course and distance as well as Meridional Parts, used in the construction of Mercator charts and Mercator navigational sailing for each minute of latitude from the equator to the poles. Latitudes and longitudes may be expressed in either decimal degrees, by filling in the degrees field only, or as degrees and minutes, by entering the values in the degrees and minutes fields.